A bicolor cat has white fur combined with fur of some other color, for example black or tabby. There are various patterns of bicolor cat. These range from Van pattern (color on the crown of the head and the tail only) through to solid color with a throat locket. 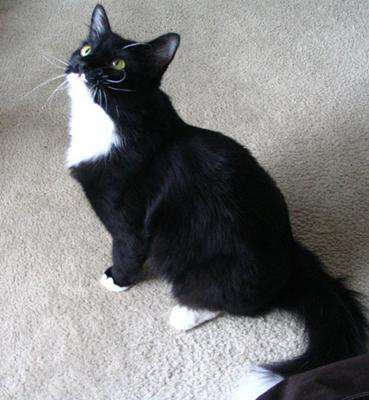 The tuxedo pattern is one of many possible bicolor patterns. 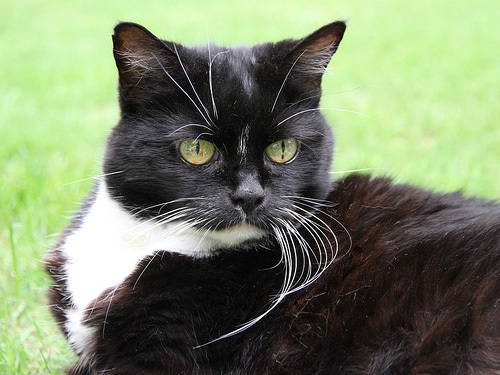 Where there is low-to-medium grade white spotting limited to the face, paws, throat and chest of an otherwise black cat, they are known in the United States as a tuxedo cat or Billicat. High grade bicolor results in Van-pattern cats. There are many patterns between, such as "cap-and-saddle", "mask-and-mantle" and "magpie" (more randomly splashed). 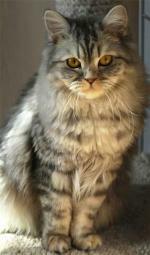 Bicolors are found in many breeds, as well as being common in domestic longhair cats and domestic shorthair cats. Solid color bicolor cats occur because there is a white spotting gene present along with a recessive allele of the agouti gene, which evens out the usual striped pattern of the colors of the coat. 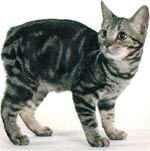 In contrast, tabby cats have an agouti gene that produces striping of the coat. The Abyssinian has agouti (ticked tabby) fur, giving the appearance of even color with color-banded hairs. White spotting can also occur with any of the tabby patterns, resulting in tabby-and-white bicolors. 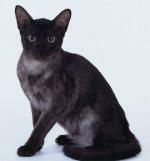 Colorpoint (Himalayan pattern) cats can have bicolor points, although this variation is not recognized for showing. The body markings of bicolor colorpoints become clearer with age, as the body fur of colorpoint cats darkens as the cats grow older and the white patches become more visible. 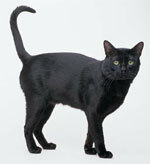 There are 10 identifiable grades of bicolor in cats, plus several patterns with their own names. The cat labelled "bicolor" is the preferred pattern in show-quality bicolor purebred cats. 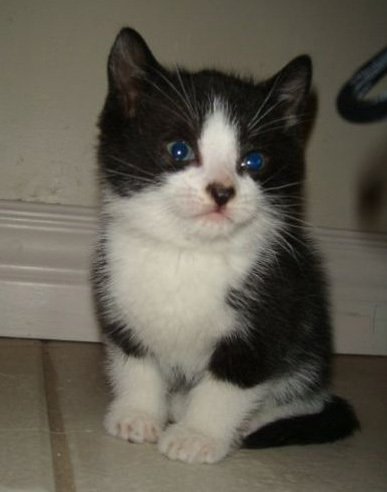 A low-grade spotting black-and-white bicolor cat is often known as a "tuxedo cat" or a "Billicat". 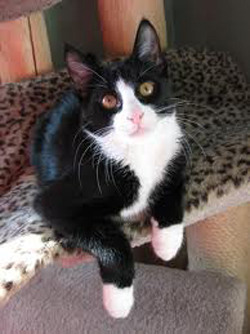 To be considered a tuxedo cat, its black coloring should be solid throughout, with white limited to the paws, belly, chest, throat, face, and possibly the chin: it should appear as if the cat were wearing a tuxedo.